Ahhhh! 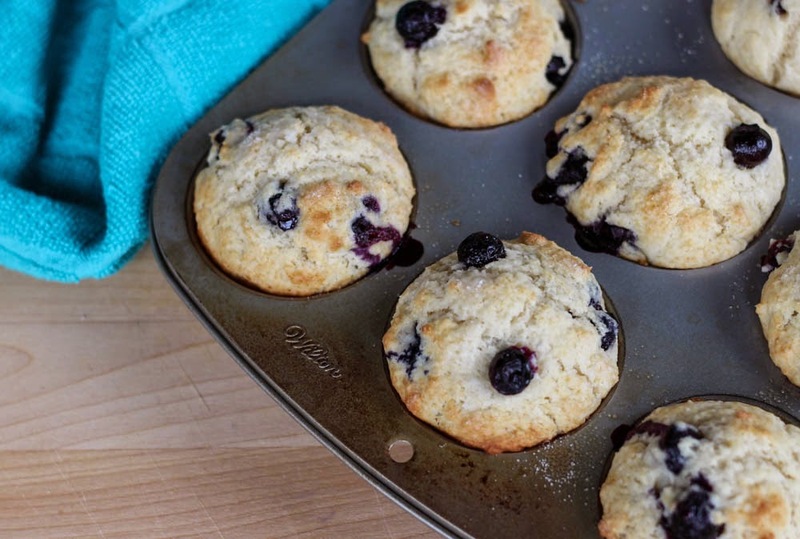 Warm blueberry muffins right from the oven. 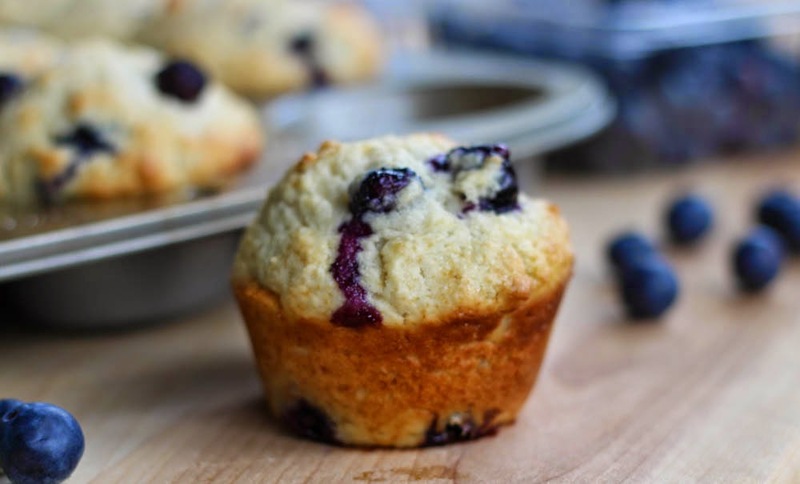 A tender muffin filled with juicy blueberries. These are perfection in a muffin!! My kids love muffins for breakfast. I will make a batch and they will eat them throughout the week for breakfast. 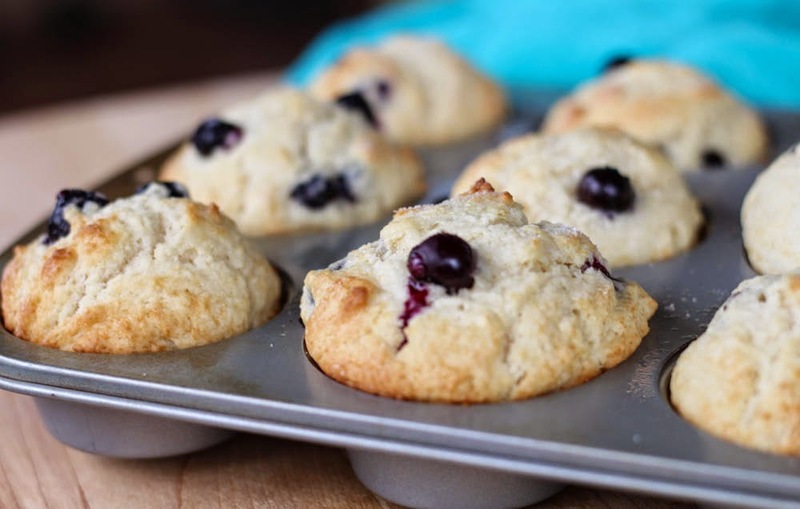 They prefer chocolate chips in their muffins, so I sometimes swap the blueberries for chocolate chips in 1/2 the batter. But for me, I only want the blueberries!! Growing up we would visit my grandma's mountain cabin in NC throughout the summer. She had a blueberry patch and I can remember Katey and I helping to pick them. Row after row, each tree would be covered with delicious blueberries! We would pick so many blueberries, that we had to freeze half the crop because there was no way we could eat them all. 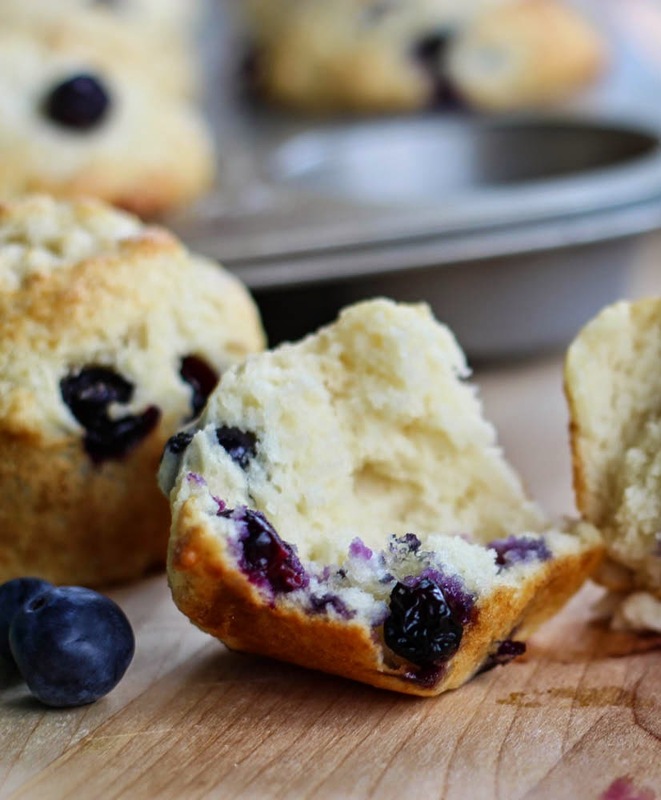 But then we'd have blueberries to use throughout the year and they were perfect in muffins. 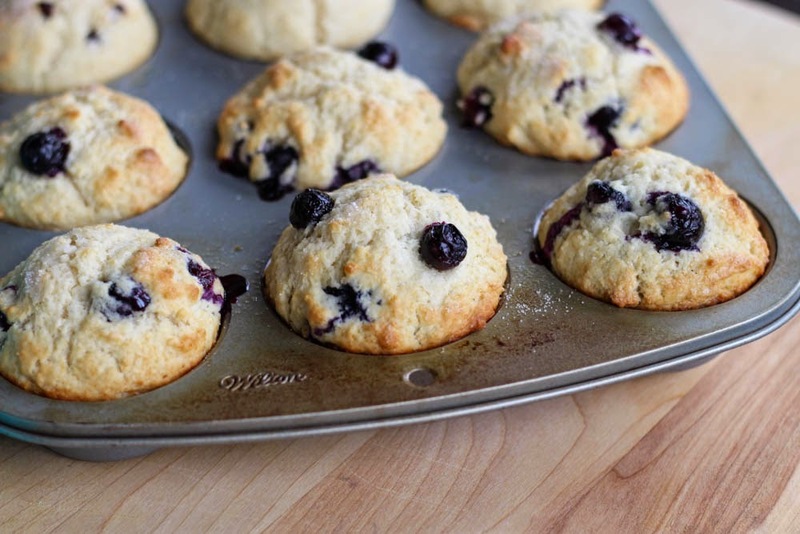 I think this is where my love for blueberry muffins started. Combine milk, egg and vanilla. Slowly whisk in melted butter. Add wet ingredients to dry ingredients and mix just until combined. Batter will be thick. Slowly fold in blueberries, being careful not to smash the berries. 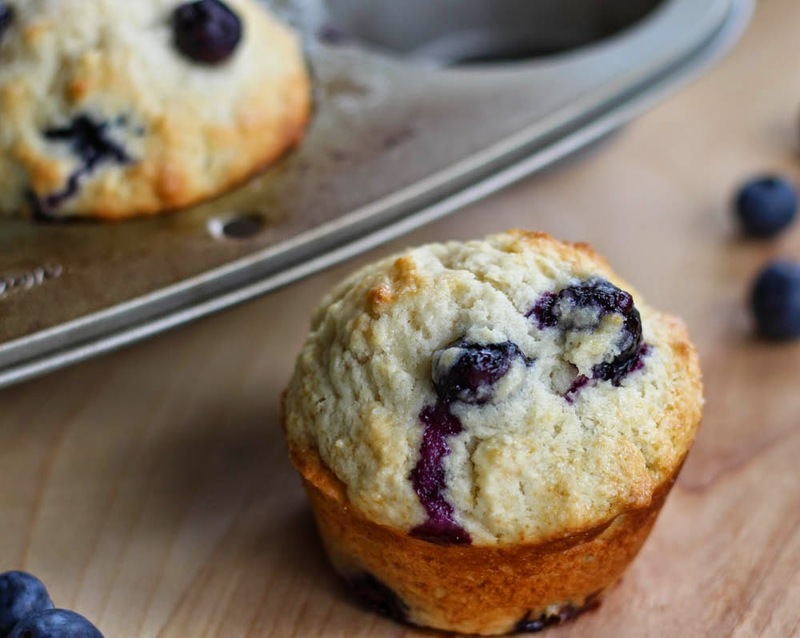 Divide batter in muffin tin sprayed with cooking spray or use muffin liners. Bake 400* for 20 min.